NERMEEN SHAIKH: I’d like to turn to an ad produced by the Emergency Committee for Israel, which alleges that Trump supports dictators. The ad started airing last month. JAKE TAPPER: —and Gaddafi in power? DONALD TRUMP: A hundred percent. Looking at Assad and saying maybe he’s better than the kind of people that we’re supposed to be backing. And I think Russia can be a positive force and an ally. But, you know, whether you like Saddam Hussein or not, he used to kill terrorists. GLENN GREENWALD: Well, two things. You know, that article that I wrote about Hillary Clinton grew out of the debate where she attacked Bernie Sanders for comments he made in the 1980s in which he said positive things both about Fidel Castro and also the Sandinistan government in Nicaragua, and she very self-righteously said, “How could you possibly praise a government that is oppressive and tyrannical.” And yet, if you look at Hillary Clinton’s record, not in the 1980s, but far more recently, in the last five to six years, she has embraced and expressed extreme levels of support for some of the world’s most brutal and horrific dictators. She called President Mubarak of Egypt a close personal friend of her family and expressed all kinds of support for him at the time that the government, of which she was a part, was arming and funding him. She did the same with the Saudis. The Clinton Foundation has raised money from some of the worst and most oppressive dictatorships in the Persian Gulf, including the Saudis and the Qataris and the Emirates and the Bahrainis. Hillary Clinton, essentially, her record has been one of embracing and supporting, in all kinds of ways, the world’s worst tyrants. The other aspect that I would add is that, you know, not just those Persian Gulf regimes, but one of the things that Hillary Clinton has done, with very little notice, has been to make a central part of her campaign embracing not just the right-wing Israeli government, but Prime Minister Benjamin Netanyahu herself—himself. She’s written op-eds in Jewish journals and in The Forward talking about the need to get even closer to Israel, if you can imagine that. And then the speech she just gave to AIPAC was about the most disgustingly militaristic, hawkish, pro-Israel speech, I think, that you could ever possibly hear, without the slightest even pretense of concern for people in Palestine or in Libya, where she supported a war that has caused great instability, or in Iraq, where she supported a war that has imposed huge amounts of suffering. And so it’s very easy to talk about Donald Trump being close to dictators or being dangerous, but there has been a huge amount of Hillary Clinton’s record that has spawned immense amounts of tyranny and violence in the world, that Democrats and progressives are steadfastly ignoring. AMY GOODMAN: Let’s go to a clip of Hillary Clinton addressing AIPAC, the American Israel Public Affairs Committee. HILLARY CLINTON: Many of the young people here today are on the front lines of the battle to oppose the alarming boycott, divestment and sanctions movement known as BDS. … We must repudiate all efforts to malign, isolate and undermine Israel and the Jewish people. AMY GOODMAN: That was Hillary Clinton addressing AIPAC. 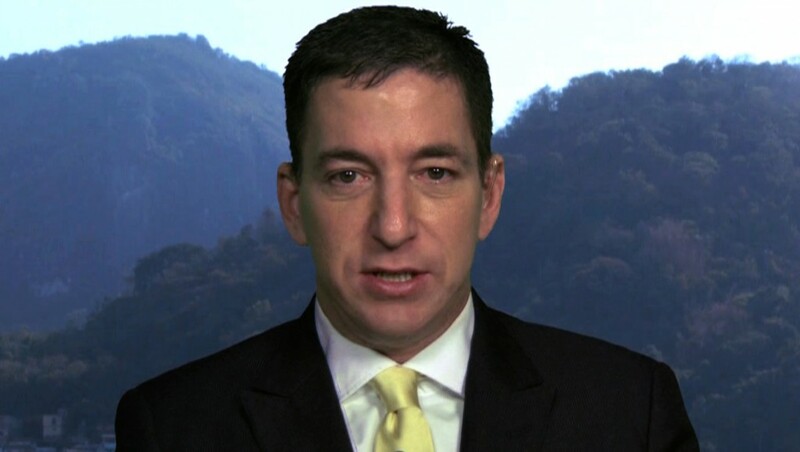 Glenn Greenwald? GLENN GREENWALD: What she’s doing there is affirming one of the most vile slanders that currently exists. There is a campaign in the United States and in Israel to literally outlaw any advocacy of a boycott movement against Israel, similar to the boycott and divestment and sanctions campaign that brought down Israel and the United States’s closest ally, which was the apartheid regime in South Africa. Now you can certainly raise objections to the tactic of boycotting Israel, and lots of people have, but to render it illegal depends upon this grotesque equating of an advocacy of a boycott of Israel with anti-Semitism and then saying that because anti-Semitism should be banned from universities or from private institutions, that it should be literally outlawed, to ban advocating the boycott of Israel, as well. And people in Europe are actually being arrested for advocating a boycott of Israel. Students in American universities are being sanctioned and punished for doing so. And what Hillary Clinton did was go before AIPAC and pander, as grotesquely as she typically does, by affirming this line that if you “malign,” quote-unquote, the government of Israel and support a boycott of it, in opposition to their decades-long occupation of the Palestinians, it means essentially that you’re guilty of maligning the Jewish people. She is conflating the government of Israel with Jews, which, ironically enough, is itself a long-standing anti-Semitic trope. But it’s just part of her moving to the right in order to position herself for the general election by affirming some of the United States government’s worst and most violent policies. AMY GOODMAN: Now, Democratic candidate Vermont Senator Bernie Sanders was the only one to skip the AIPAC conference earlier this week. He did address the issue on the campaign trail, though, from Utah, calling for an end to Israel’s occupation of Palestinian territories. SEN. BERNIE SANDERS: It is absurd for elements within the Netanyahu government to suggest that building more settlements in the West Bank is the appropriate response to the most recent violence. It is also not acceptable that the Netanyahu government decided to withhold hundreds of millions of shekels in tax revenue from the Palestinians, which it is supposed to collect on their behalf. AMY GOODMAN: That was Bernie Sanders in Utah. Glenn Greenwald, I believe he did offer to address AIPAC by video stream or Skype, as did Romney in 2012, but we heard he was told no. GLENN GREENWALD: Yeah, I mean, a couple months ago, Donald Trump, on an MSNBC program, said, when asked about Israel and Palestine, that he thought the U.S. should be neutral in order to be a more effective arbiter, which until 20 years ago was a standard mainstream U.S. position, but now has become very shocking. Same with what Bernie Sanders just said. To hear a prominent American politician stand up and actually criticize Israel in such stark and blunt terms, calling them occupiers, essentially, and criticizing how they’re treating the Palestinians, is almost shocking to the ear. Hillary Clinton would never do it, nor would leading Republican politicians. And yet it’s really a very mild way to talk about Israel. And it shows just how far to the right the discourse has shifted in the United States when it comes to Israel, and how much a part of that rightward shift is Hillary Clinton, when you think about how almost shocking it is to hear pretty mild criticisms of Israel coming from Sanders or mild proclamations of neutrality coming from Trump. AMY GOODMAN: Very quickly, before we end, Glenn, the issue of encryption, again raised, of course, in the aftermath of the Brussels attacks, but the whole battle between the government, the FBI and Apple? GLENN GREENWALD: The government’s attempt to make sure that nobody can use encryption to keep them out of private communications is based on continuous deceit. They falsely claimed that the Paris attackers used encryption, when they had no idea if it was true. They’re already making that claim about the Brussels attackers, even though there’s no suggestion that it’s true. And the whole campaign against Apple was based on what turned out to be a total lie, which is that they needed Apple to help them break into the San Bernardino phone, when all along they could have done it themselves. And it’s up to the media to check these claims on the part of the government, and, of course, the media has been very lax in doing so. AMY GOODMAN: Well, we want to thank you, Glenn, for staying with us. We’re going to talk to you for a few more minutes after this broadcast, and we’ll post it online at democracynow.org. Glenn Greenwald, Pulitzer Prize-winning journalist, his piece for The Intercept is headlined “Brazil Is Engulfed by Ruling Class Corruption—and a Dangerous Subversion of Democracy.” Another recent piece, “The Rise of Trump Shows the Danger and Sham of Compelled Journalistic ‘Neutrality. '” We’ll link to these and many others at democracynow.org. This entry was posted in Accountants CPA Hartford, Articles and tagged Amy Goodman, Bernie Sanders, Democracy Now, Donald Trump, Glenn Greenwald, Glenn Greenwald on Democracy Now reports that Hillary Clinton Has Embraced Some of the Most Brutal Dictators in the World, Hillary Clinton, NERMEEN SHAIKH, the barefoot accountant. Bookmark the permalink. Illinois, Clinton, + 20 ? Sanders is the strongest of the two, if you discount for Republican states and Clinton cheating.